Founded in 1980, Novomatic is one of the oldest casino software providers3 in the world. 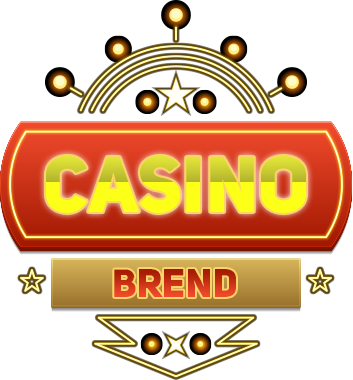 At first, it specialised in developing products for the land-based casinos. In 2010, it launched its online gaming project, Greentube, which took land-based games to the virtual level. Greentube from Novomatic is innovative and advanced casino software capable of rivaling the market leaders. It is simple and easy to use as players do not need to download and install any files but can access the games online. All games are in the instant play mode and offer some amazing features, stunning design and outstanding audio. All of this helped Novomatic become a go-to software provider for many online casinos. In fact, users from Europe can access Novomatic’s games via both desktop and mobile devices running on Windows and Mac alike. Like we were saying, although Novomatic has a long and rich history of operating in the gaming market, it joined the digital technologies quite recently. Currently, it does not provide live dealer tables which sounds like a major drawback. However, Novomatic’s titles are available on mobile. Some of its most popular mobile games include Book of Ra and Sizzling Hot Deluxe. Moreover, Novomatic offers video poker functionality for ten players with both seventy-five and ninety balls. Gamers can also download its eSports games or play backgammon which is also part of the offering. While Novomatic developed a versatile portfolio of games for different devices, its major specialization is online slots. As of now, it offers over fifty slots such as Book of Ra and Ramses II to name a few. Fans of table and skills game can find a fair share of options too. Novomatic offers Baccarat, Blackjack, Roulette and Sic Bo as well as over 100 instant play games. In addition, its skill games such as backgammon and mahjong are accessible online providing 2-player functionality and a cash payout opportunity. Also, Novomatic’s downloadable eSports games are known for their excellent design and audio. Novomatic’s casino games may have originated from the land-based products but they nevertheless provide unique gaming experience. Sizzling Hot. Remember fruit slot machines from the older times – fruits acting as reels? This is a classical game and, without a doubt, a well-known one for every player. Deluxe version available. Book of Ra. A wonderful themed game featuring adventures of Indiana Jones. Five reels and nine paylines offer gamers generous rewards (free spins and gamble) as well as wild and scatter symbols. Deluxe version available. Katana. A samurai-themed game offers lots of free spins and amazing bonus system. Shogun symbols are the most valuable ones as they can amplify your reward significantly. Lucky Lady’s Charm. Five reels, nine paylines, an amazing theme, free spins and generous bonuses – this slot has it all. Deluxe version available. Novomatic’s games enjoy distinctive design that sets them apart from the competition and is an important part of the brand. The graphics are very vivid and dazzling and so is the audio. Overall, all games are tightly focused around a particular theme and offer great solutions to amplify the main idea. On top of that, slots from this developer feature a great trick offering gamers to grow their bonuses by guessing the color of the face-down card: black or red. And if gamers manage to predict the suit as well, they increase their reward by four times. You can imagine how interesting the gaming experience becomes with a few simple features like this one.